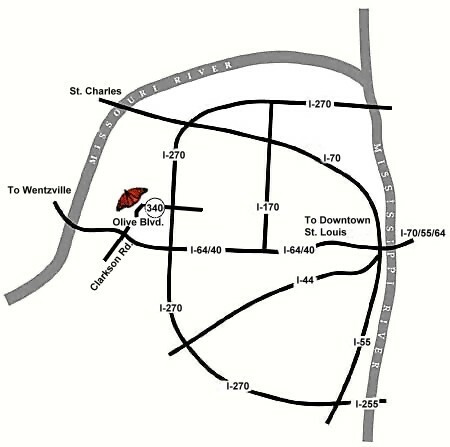 The Butterfly House is located in Faust Park, a St. Louis County Park 1.2 miles north of the I-64/Olive-Clarkson exit, Exit 19B. Coming from the West on I-64/40: Take the Clarkson/Olive exit (19B). Turn left at the stoplight and you will be on Olive Blvd after crossing under I-64. The Butterfly House is about 1.2 miles on the left inside Faust Park. Coming from the East: Travel west on I-64 past I-270 to Exit 19B. Turn right at this exit, Olive/Clarkson exit. The Butterfly House is about 1.2 miles on the left inside Faust Park.